"It's all about compassion, realizing how important this bird is to him." If being cute were a crime, this photogenic parrot would be facing hard time. Fortunately, it's not - but she landed a spot in a mugshot anyway. 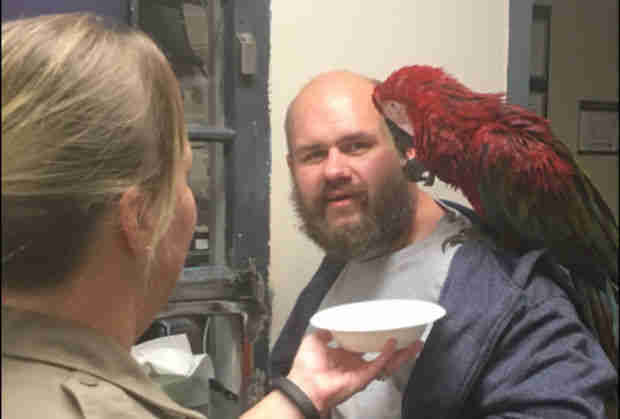 It all began on Monday, when the macaw's owner, Craig Buckner, was called before a judge in an Oregon court for failing to comply with a previous release agreement. 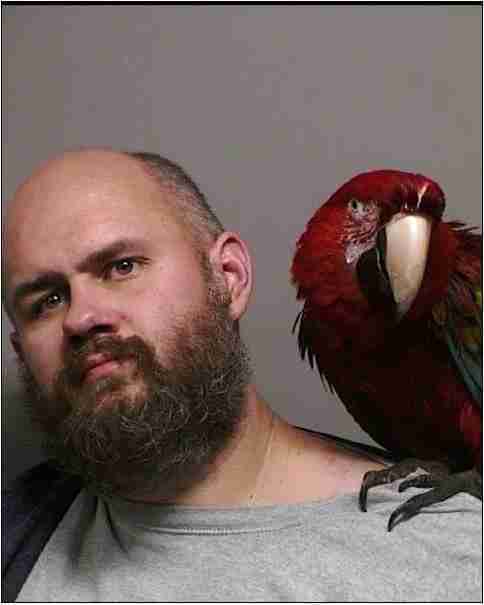 Evidently, Buckner was under the impression he'd be given a chance to turn himself in at some later day, so he brought his feathered friend, named Bird, along with him and had her wait in a tree out front. But things didn't go according to plan. The judge ordered Buckner into custody right then and there. Buckner was distraught, most of all about his pet left outside all alone. "He told our deputy, Shoana McKelvey, about his concerns," Washington County Sheriff's Office spokesperson Bob Ray told The Dodo. "She knew the bird would not survive, and she knew the bird was a very close pet of his. We all know that pets are a part of the family." So, McKelvey headed outside to collect Bird herself, but the parrot wouldn't budge. "We then brought Mr. Buckner out," said Ray. "Bird came down and sat on his shoulder immediately. We went inside and fed Bird some peanuts, and called a friend of Mr. Buckner who could take the Bird to keep her safe." In the meantime, they decided to let Bird join her owner in his mugshot photo since she clearly meant so much to Buckner: "How could we resist? How many opportunities are there to have a feel-good moment like that?" said Ray.